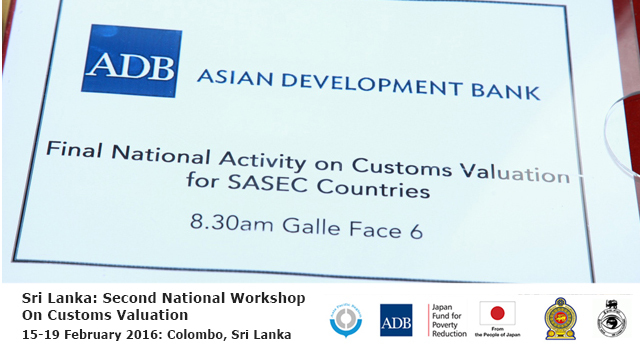 Sri Lanka Customs, in collaboration with the World Customs Organization Asia Pacific Regional Office for Capacity Building (WCO ROCB A/P) and the Asian Development Bank (ADB), conducted its second and final national workshop activity under the WCO-ADB joint subregional train-the-trainer on Customs valuation multiyear assistance initiative on 15-19 Feb 2016 in Colombo, Sri Lanka, to develop a model training course with an accompanying set of training materials. 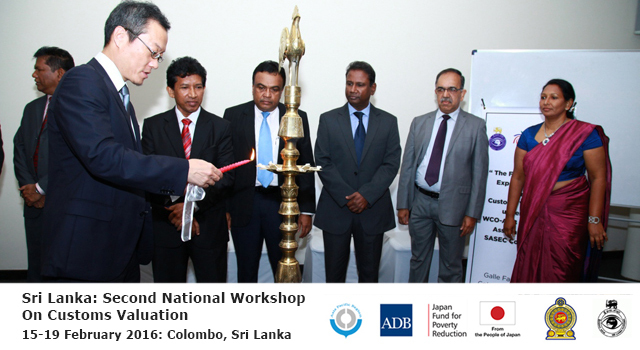 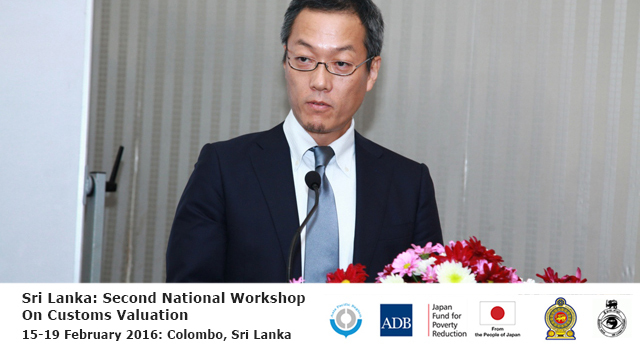 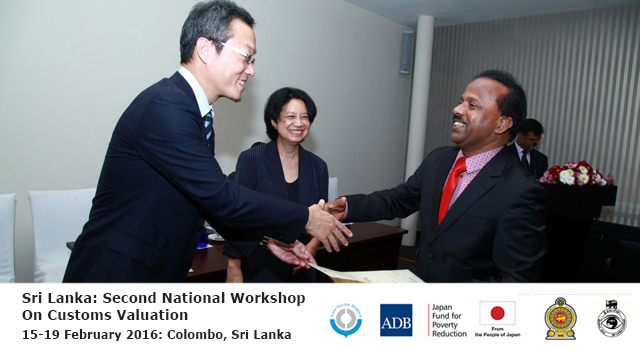 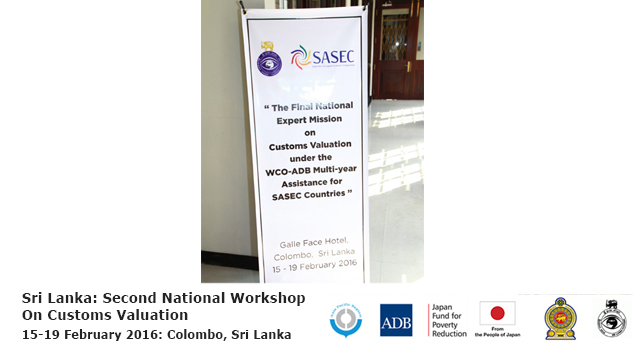 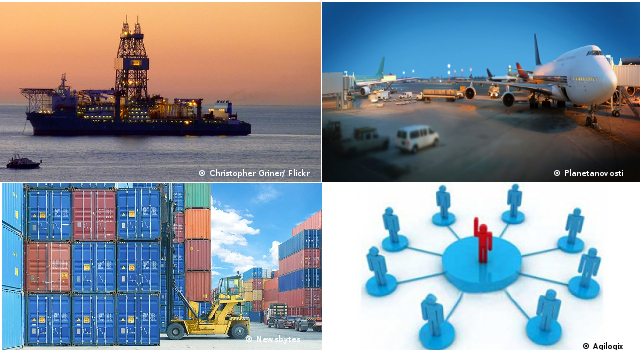 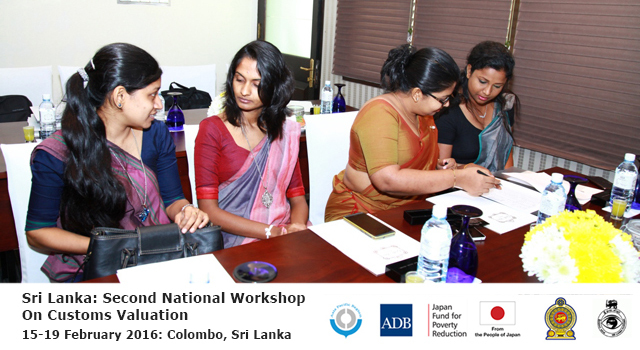 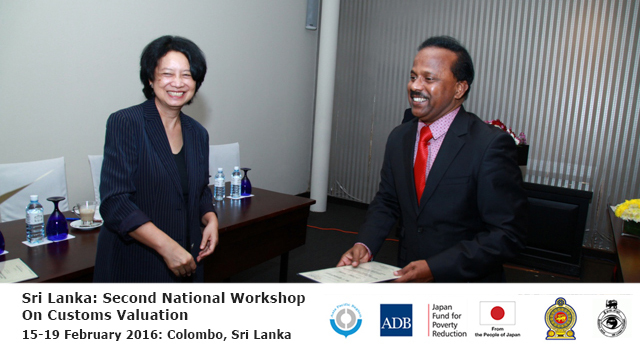 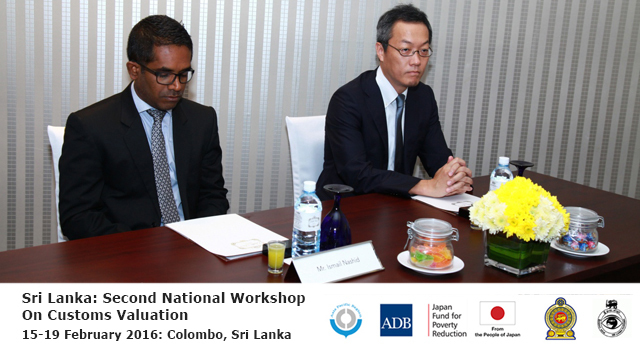 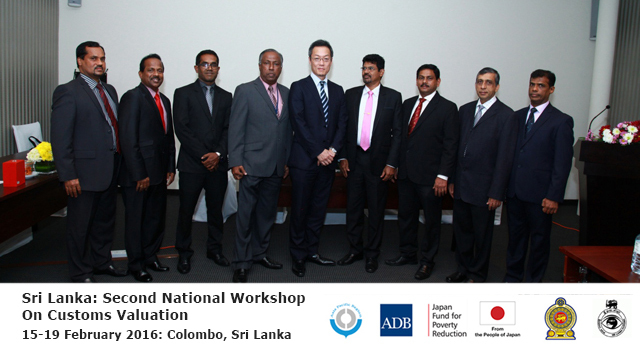 This Workshop follows on from the Sri Lanka Customs: National Expert Workshop on Customs Valuation, held by Sri Lanka Customs on 26-30 October 2015, which identified areas for potential enhancement and/or improvement in Sri Lanka Customs capacity for proper Customs Valuation control and agreed on the outline for a model training course and training materials to be used by Sri Lanka Customs valuation trainers. 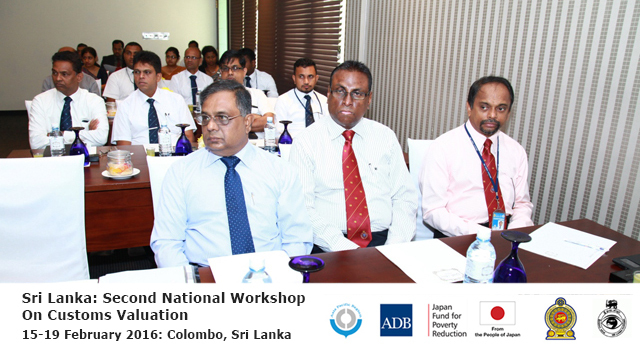 The Second National Expert Workshop began by finalizing all tailor-made training modules and materials, to be used by all Sri Lanka Customs trainers in the future for in-house capacity building in the area of Customs valuation. 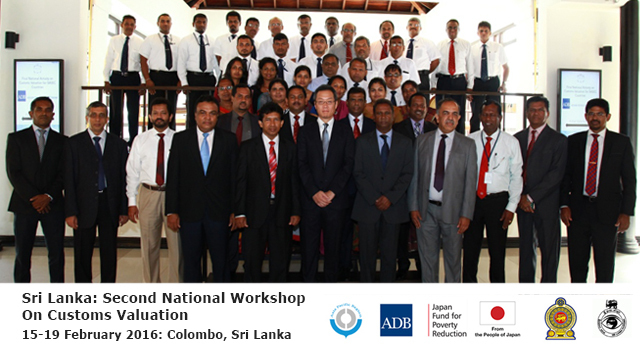 Sri Lanka Customs Project Core Members delivered the first in-house training by delivering a 3-day workshop to 31 Sri Lanka Customs officers on 16-18 February 2016. 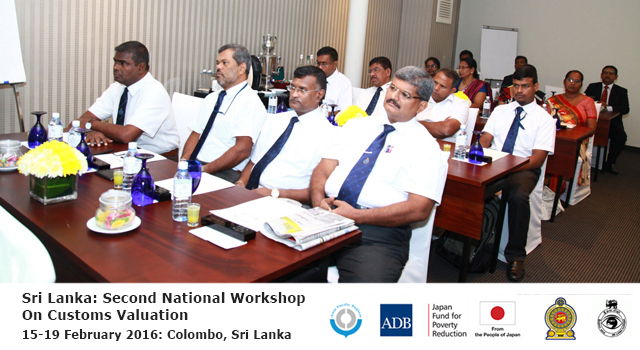 Technical experts from WCO ROCB A/P joined the workshop and subsequently offered further guidance on trainers’ skills. 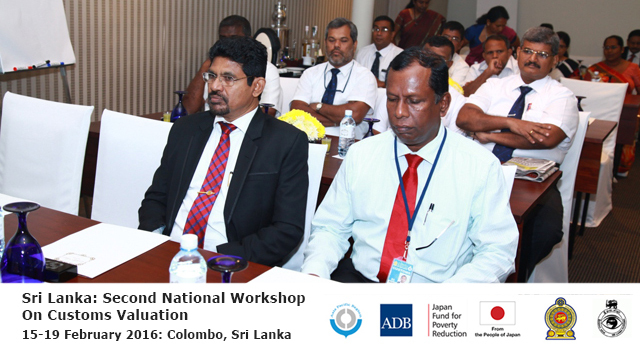 Project Core Members formally presented the new training program and materials to Additional Director General of Sri Lanka Customs at a closing ceremony on 18 February. 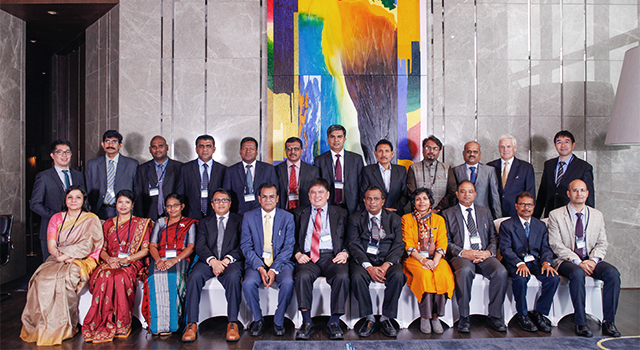 ADB Country Director Sri Widowati also joined the closing ceremony, and shared remarks on successful completion of the WCO-ADB Joint Subregional Train-the-Trainer on Customs valuation Multiyear Assistance. 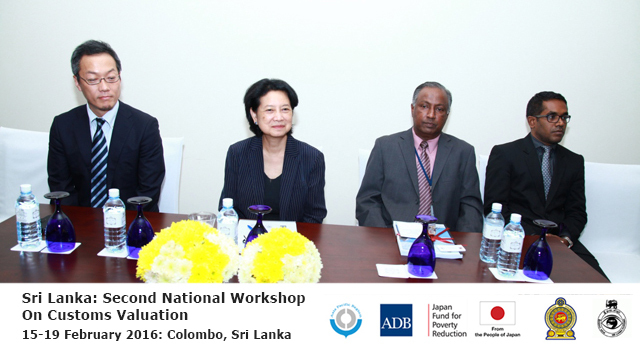 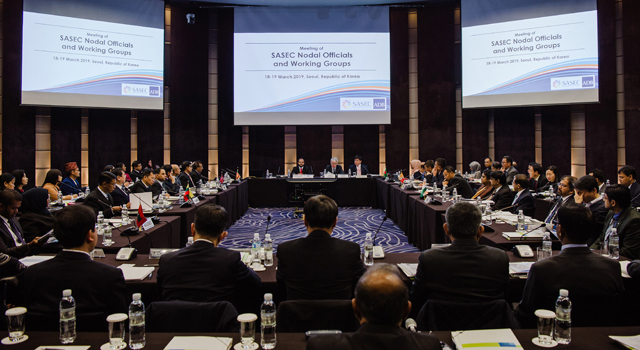 The Second National Expert Workshop was funded through ADB technical assistance.